Today, is a really lazy Saturday!!! Good thing too because, I just had dental work done on Wednesday and I have been needing to relax a bit!! We got some rain in the early A.M. so waking up to the smell of wet grounds and cool air, was a fabulous surprise. The boys and I have been reading books and watching movies. I stamped on watercolor paper and colored with my watercolor pens. Love the way it all came together and very effortless too!! 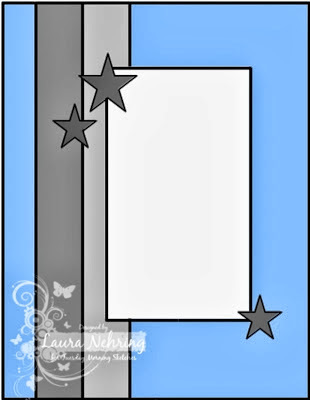 What a fun thank you card!! 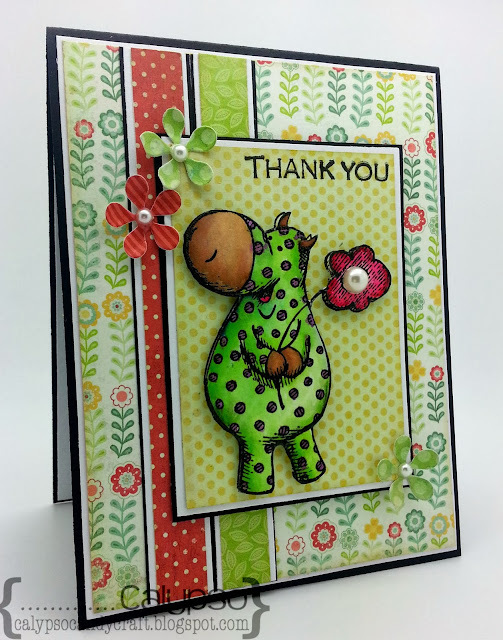 I love the bright colors, and that polka dot hippo is too cute!! He is absolutely ADORABLE!!! LOVE the way you colored him and the pretty patterned papers in the bg - such a perfect card! Hugs from me! So very sweet! Thanks for joining us at Tuesday Morning Sketches. super CUTE!!! Fabulous job coloring Phyllis in! Thanks for playing along with this week's There She Goes Challenge! What a cute hippo and fab coloring! Thanks for playing along in the Thanks/Thanksgiving challenge over at the Simon Says Stamp Wednesday Challenge Blog this week!